The 2017 San Diego Comic Con held much action involving the interaction of fandoms. 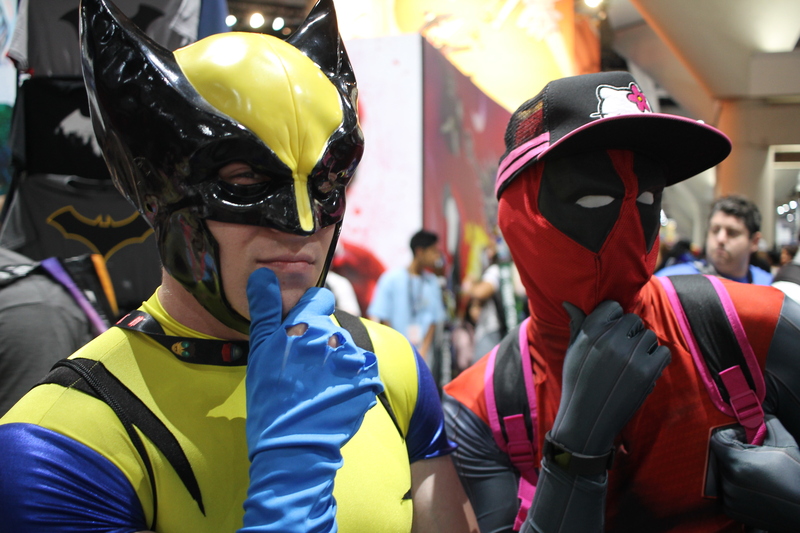 A large part of fan participation includes the cosplay, shown in Part 2 of our SDCC Recaps. In that posting, we showed many pics but not all. The rest are below, check them out! But, our restricted and could not capture more. Much was observed in this trip, including trends. Stronger in the fan costuming for this year were the representations of Wonder Woman (movie and comics), Doctor Strange, Thor, Spider-man, Deadpool, Harley Quinn…much on the superheroes gaining popular movie attention. Not so much, I think are the Star Wars variety. Doctor Who and Game of Thrones are still out there, along with the various anime and video games (Overwatch a growing presence). Next year, I hope to see some great Black Panthers, Thanos, and Star Wars: Last Jedi representations. Overall, there was not as much cosplay as the more focused conventions of genres and particular fandoms I have attended such as Anime Expo, Blizzcon, Sakura Con, Emerald City Con. I think the frequency was down this year, compared to earlier years. I didn’t see as much. Reasons for this, I think included the increased amount of activity in events and purchases on the lists of attendees, and the further apart of walking and traveling to be done for attendees. The con feels busier, with less time for casual socialization and constant photo-snapping. I heard the Masquerade event was great, of which I sadly missed. That’s all for now. I have one more Recap to share soon, concluding this year’s coverage. For that, will contain personal insight and opinions of the show and happenings within, with thoughts on the SDCC’s future. Look forward!